Twice daily group Yoga sessions and one daily Meditation session are included in the stay for all guests. 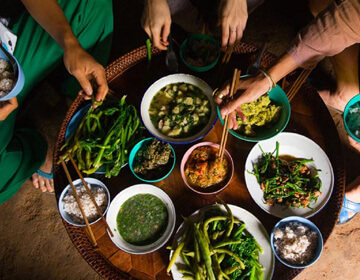 For guests who would like to delve deeper into the ancient spiritual tradition of yoga, a Yoga retreat is structured carefully to allow them to experience not just the physical aspects of Yoga but also Karma Yoga (selfless work), various Yogic kriyas, and yoga nidra (deep relaxation) besides some rejuvenating massages, community service, etc. 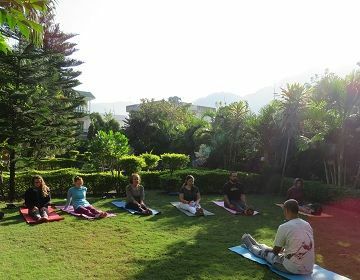 Yoga Vidya Mandiram is a registered Yoga School centered in the magical Himalayan valley of Rishikesh, India. This is dedicated to restore, explore and impart the purest form of yogic knowledge and its science.